This is not the greatest idea to come from George Lucas. 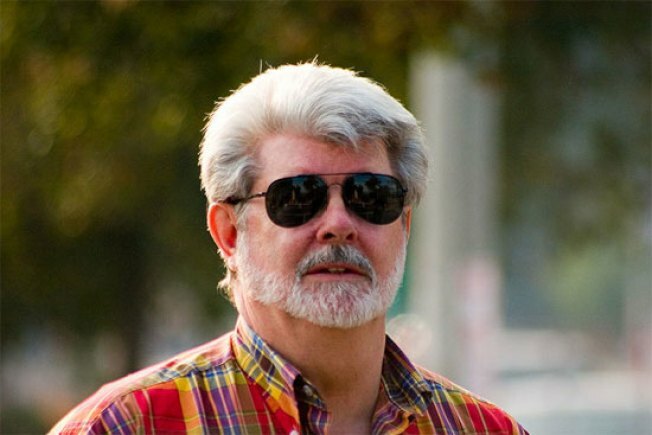 From the horrible ideas department comes the news from George Lucas that he's buying "the film rights to dead actors." You know, so he can resurrect them virtually for upcoming movies. Oh, come on, George. Yes, there may someday be yet another Star Wars reissue, but this time with Alec Guinness referencing Facebook to Luke. You know, so a new generation of kids will be able to "get it!" Look for actors to start laying out their film rights in their wills to prevent this from happening pretty much ASAP. Because when you're dead, you don't have the power to say no to George Lucas.